Sydney Sigler is drug tested regularly, not allowed to drink and not allowed to leave her home county. 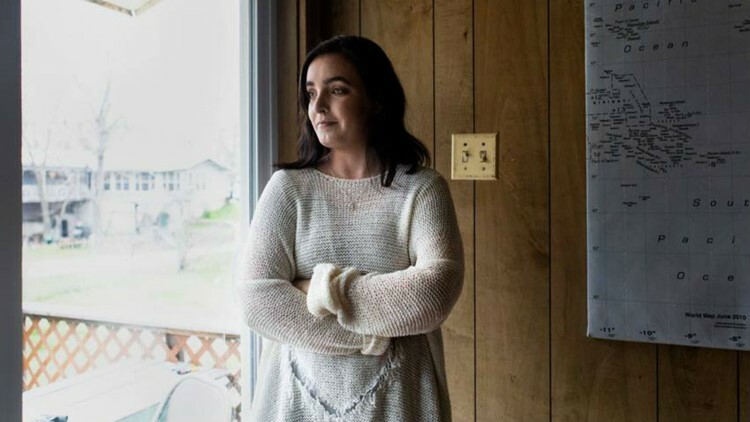 ROBINSON, Texas — Sydney Sigler says her probation officer shows up at her house randomly to confirm she lives where she claims. She’s not allowed to leave McLennan County, where she lives with her husband and two young kids. She’s also drug tested regularly and is not allowed to drink alcohol or be at bars. This is life on probation. Her crime: getting caught with what court records say was .1 ounce of marijuana. On Christmas Day 2013, she was sitting outside a friend's house in her car. The vehicle's door was open — which records say is what prompted a police officer to first approach her. Inside her car were rolling papers and a small amount of marijuana, according to the arresting officer's account. Sigler said she wasn't smoking at the time and arrest records make no mention of her being impaired or trying to drive while high. Sigler, then 21, hadn't married or had kids yet. She was living with her parents and said she kept the marijuana — which she smoked recreationally — in her car to hide it from her mom and dad. She’s been paying the consequences, emotionally and financially, ever since. But if she lived in another state — or even another part of Texas — the last few years of her life may have gone differently. According to the Texas Department of Public Safety, roughly 379,000 Texans have been arrested for possessing 2 ounces or less of marijuana in the past five years. Those criminal charges are for being caught with small amounts of a drug that an estimated 128 million American adults have tried — and that 55 million U.S. residents regularly use, according to a 2017 poll. Ten states and the District of Columbia have legalized small amounts of marijuana for personal use. Thirteen other states have made possessing small amounts a civil rather than a criminal infraction, according to the National Conference of State Legislatures. In Texas, possession of any amount of marijuana is illegal. Still, there’s growing public support and bipartisan backing at the Capitol for lessening — or ditching — criminal penalties for what are currently low-level offenses. And some local court officials are already backing off of pursuing charges against some first-time offenders. Lawmakers this year are pushing a bevy of bills that range from reducing the criminal penalties for those found with small amounts of marijuana to eliminating those criminal penalties altogether. But there remains some lingering political pushback from conservative hardliners and law enforcement groups who fear decriminalizing marijuana will increase crime rates and eventually lead to the legalization of other drugs. Stuck in the middle of the political fray are people like Sigler, who live in counties where prosecutors still take on first-time marijuana offenses. So since her arrest, Sigler estimates she’s spent more than $5,000 on lawyer and court fees, drug tests and probation costs. Cases like Sigler's are one reason state Rep. Joe Moody, D-El Paso, filed House Bill 63. His bill would replace the criminal penalty for people caught with an ounce or less of marijuana and replace it with a civil fine of up to $250. Only those fined more than three times would face misdemeanor criminal charges. “When people are convicted of crimes like this they could lose their driver’s license and they’re going to have a harder time finding a job or finding an apartment,” Moody said. “All those penalties far exceed the gravity of the crime they’re charged with. Even as Moody’s bill begins what is likely to be an uphill battle at the Capitol, several Texas district attorneys have already pledged not to prosecute first-time, low-level offenders in their respective counties. In Dallas County, newly-elected District Attorney John Creuzot said his office is currently declining prosecution for first-time marijuana possession offenders. He said he wants to free his prosecutors up to go after suspects who are accused of violent crimes or infractions that often portend to future violence. “I don’t know of any research that shows having small amounts of marijuana has any bearing on community safety — certainly not violent crime,” Creuzot said. Harris County prosecutors, meanwhile, offer a diversion program that gives residents caught with less than four ounces of marijuana the option to take a $130, four-hour class that focuses on decision making and risky behavior. If the class is taken within 90 days, participants will not have criminal charges pressed against them. Since the program's implementation in March 2017, more than 7,000 people have gone that route as opposed to “the jailhouse or the courthouse,” said Dane Schiller, a spokesman for the Harris County District Attorney's Office. “Thousands of people have not spent a night in jail, not been booked, fingerprinted, prosecuted and saddled with a record that could shadow them for the rest of their lives,” Schiller said. Sydney Sigler, 26, changes her daughter's diaper in her home this week in Robinson. “Imagine losing your job and not being able to find another one because of a conviction over a tiny amount of pot?” he added. Still, Patrick has stayed tight-lipped on where he’d stand on Moody’s decriminalization bill. A spokesperson for his office did not respond to request for comment. House Speaker Dennis Bonnen, for his part, said in a recent interview with The Texas Tribune’s CEO Evan Smith that he didn’t see the Texas House supporting the legalization of all amounts of marijuana for recreational use. A spokesperson for his office did not immediately respond to a request for comment Thursday afternoon regarding the decriminalization of small amounts of the drug. Much of the rebuke for decriminalization measures has come from law enforcement groups. The Sheriff’s Association of Texas is steadfast in their opposition to policies like the one in place at Harris County, in addition to any moves the Legislature might consider this year to relax the state’s marijuana laws. Jackson County Sheriff A.J. “Andy” Louderback, who is also legislative director of the group, said he believes decriminalizing small amounts of marijuana or legalizing any amounts for its recreational use is dangerous for a slew of reasons: There is no means to test drivers to determine how affected they are and, he said, there are some studies that show marijuana can have adverse affects on workplace performance. “Is that the direction Texas wants to go?” he asked. Even though bills to relax the state’s marijuana laws haven’t gained traction in past sessions, both Republicans and Democrats this year have embraced either decriminalizing marijuana or reducing criminal penalties for Texans found to possess small amounts of the drug. In their most recent platform, the Republican Party of Texas approved a plank for the first time supporting making it a civil, rather than a criminal, offense to possess an ounce or less of marijuana. Months later during a gubernatorial debate, Gov. Greg Abbott opened the door to reducing penalties for low-level possession of marijuana from a Class B to a Class C misdemeanor — albeit not all the way to a civil offense as Moody proposes. That bill — which will receive a committee hearing Monday — is identical to a measure that passed out of the same House committee last session but didn’t make it to the floor in time for a vote. Other unsuccessful marijuana bills from that same year were put forth by Texas Republicans, including state Rep. James White, R-Hillister, who filed a bill that would’ve created a marijuana possession court for non-violent offenders that relies on community service rather than jail time. White said he didn’t plan to file an identical measure this year. But, like some fellow Republicans, said he’s still in favor of reassessing how the state handles these crimes. Marc Levin, the vice president of criminal justice policy for the Texas Public Policy Foundation, said the conservative think tank hasn’t yet taken a stance on Moody’s bill. But, he said, the group has supported reducing criminal penalties for those found with small amounts of pot in the past, even though that backing isn't meant to send a message that marijuana use is healthy. “There’s no evidence that’s arresting people and putting them in jail for small amounts of time is actually doing anything to reduce marijuana use,” Levin said. Meanwhile, advocates in favor of modifying Texas' marijuana laws are unwavering: Public opinion, both inside and outside the state, is changing and it’s time for the Legislature catch up. William Kelly, a professor at the University of Texas who specializes in criminal justice and criminology, said he hasn’t seen “any valid scientific research” to suggest smoking weed is any worse than drinking alcohol. He added there’s no pattern of “significant or substantial neurocognitive effects” from smoking small amounts of the drug. But he stopped far short of saying that should be the foundation for changes to the state's penal code. Heather Fazio, the director for Texans for Responsible Marijuana Policy, pointed to the latest University of Texas/Texas Tribune poll, which shows a majority of Texas voters in favor legalizing pot to some extent. Thirty percent of voters said they would legalize pot in small amounts, while 23 percent said the state should legalize its recreational use. "No one should go to jail for this." Sigler, now 26, is also pinning her hopes on that. She got a deal for a pre-trial intervention program in 2015 — two years after her arrest — where she had to pay the courts $500, submit to random drug tests and do 100 hours of community service. 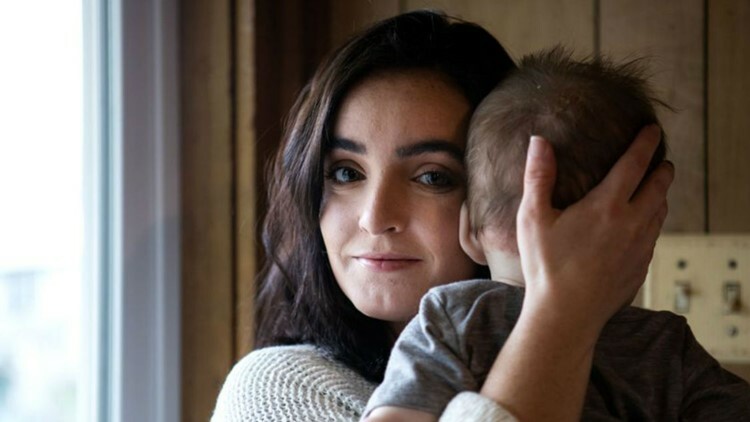 Unable to finish the community service within the year given because she gave birth to her first child and was working full-time to be a dental assistant, the agreement was nullified. A warrant was put out for her arrest since she didn’t finish the program, and she was sentenced to 18 months probation starting in November 2017. 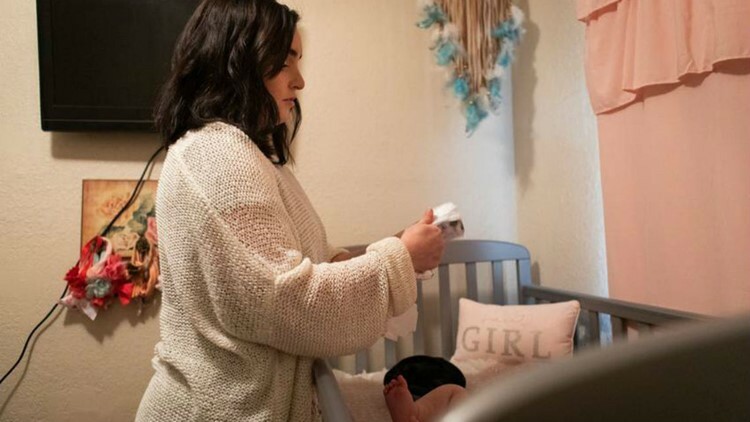 She violated the terms of her probation, however, after she smoked “out of desperation” to offset her narcolepsy and some of the psychological side effects “like anxiety and OCD-type thoughts and behaviors” she experienced after the birth of her second child. A judge sentenced her to 96 hours of jail time, according to court records, and to finish out her probation sentence. For the past few months, Sydney Sigler has been volunteering with Americans for Safe Access, a group which does marijuana advocacy work. “Since my arrest, I’ve had no problems breaking the law in other ways,” Sigler said. “No one should go to jail for this and it’s ridiculous for people to be punished in these ways. Disclosure: Texas Public Policy Foundation and The University of Texas at Austin have been financial supporters of The Texas Tribune, a nonprofit, nonpartisan news organization that is funded in part by donations from members, foundations and corporate sponsors. Financial supporters play no role in the Tribune's journalism. Find a complete list of them here. This article originally appeared in The Texas Tribune at https://www.texastribune.org/2019/03/01/texas-marijuana-decriminalization/.